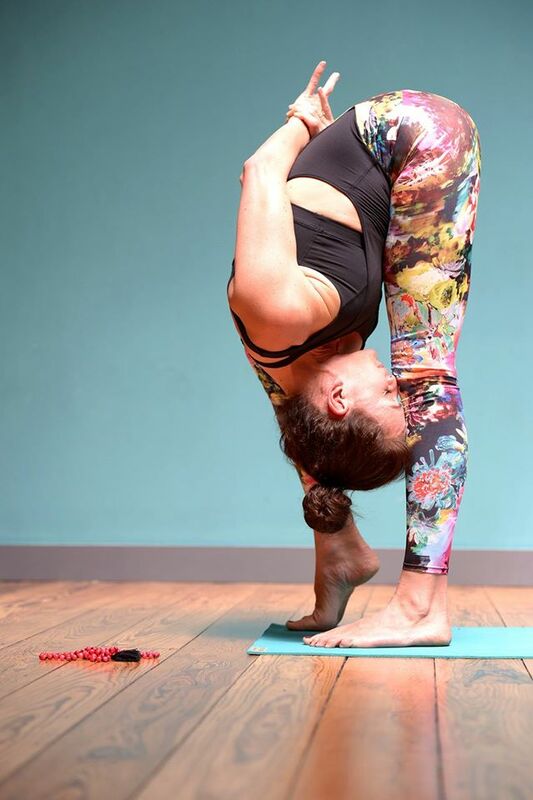 So yes, Vinyasa Yoga… What really is it? There are many people teaching it this year at BYC: Janet Stone, David Lurey, Paul Hardiman and my teacher Nicole Bongartz. This morning I was assisting her in her 8 am core class. Afterwards there came people to Nicole to tell her how they liked the theme and the thread throughout the whole class. That is what vinyasa yoga for me really is: To have a yoga class that fits perfectly together in all its parts: the chanting, the dharma talk (at the beginning of a class), the asanas (the sequencing of a class), the peak point (which can be an asana) and the end (maybe also end talk). So Nicole’s theme of class was “core”. In the beginning she talked about the intrinsic intelligence everyone of us has. It’s not intellect, something you learned from the outside, but an intelligence that comes naturally out of you, lying deep inside of you – and you can connect to it through your navel area. Nicole started the class with some simple but deep core work, getting more into that area. Then she went through a series of down dog variations where you try to get one of your knees towards your upper arms. To really build some strength but also to feel deeply connected to your navel area. Then everyone did the crow position, but lying on their backs. So you really have to get into your core to lift your knees and your upper arms toward the ceiling to have a “lying crow”. For me this is one of the heart poses of the class, because you are so safe on your back and you are so supported. So now it’s really up to you to turn yourself into a crow. No more outward hinderances, but only you and your intrinsic intelligence to lift you higher, to work from your center. So eventually you could turn the position from here upside down: onto your hands, like the “original crow”. And then eventually you could lift one leg up to be a “one-leg-extended-flying crow”. And guess what: From here you could come into handstand, supported by a partner. Having a good vinyasa class feels like a perfect arranged and super rich food plate.